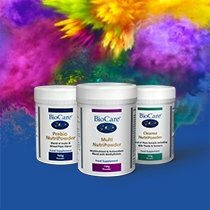 Choosing a broad spectrum supplement is a great way to support your general health and wellbeing, and at BioCare we offer a wide range of multinutrient supplements for different age groups and individual needs. We apply high standards to all our products – so you can expect exceptional quality raw materials, high absorption rates and minimal additives, with a particular focus on avoiding common allergens like dairy and gluten. Browse our full range below or read more about the benefits that multinutrient supplements can offer. If you feel like you want to support your health with a supplement, but don’t have any specific requirement for particular nutrients, then a multinutrient supplement could be the ideal choice. 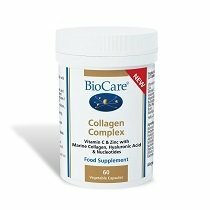 At BioCare, some of our products – such as Adult Multivitamins and Minerals – provide effective support for a wide demographic, while others are more focused on particular needs. For example, our Methyl Multinutrient is a high potency multivitamin, mineral and antioxidant supplement where all the nutrients are bioavailable and metabolically active. VytaMyn Complex is a multinutrient supplement with extra vitamin B5 and vitamin A plus Siberian ginseng. And Broad Spectrum Amino Acids suits individuals on a low protein diet or who are recovering from illness. We produce three supplements for women at different stages of their lives. Femforte Multi was designed by acclaimed clinical toxicologist Alan Hibberd in line with current research, and includes high ratios of nutrients that support women’s health such as Vitamin B6, Magnesium and Iodine. FemGuard is designed to support women’s health through the menopause, with particular focus on hormone levels, bone density and cardiovascular health. We also offer Pregnancy & Lactation Formula to support women through this important stage of their lives. For people who want a high quality multinutrient supplement, but find swallowing tablets or capsules difficult, we offer Vitasorb® Multivitamins – comprehensive vitamin support in liquid form. 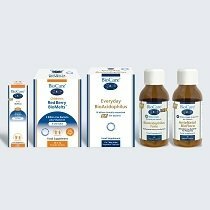 We also offer a number of children’s multinutrient products such as Children’s Complete Complex and Children’s Mindlinx® Multinutrient that provides a high concentration of B vitamins, magnesium and zinc. These are presented in a tasty powder to help children enjoy the experience of taking them. And for babies, we offer Baby A, C, D Plus – a gentle multivitamin in liquid form for babies from one month old. If you prefer to take a specific vitamin or mineral supplement, you can find out more about our single nutrient supplements on the relevant category pages.